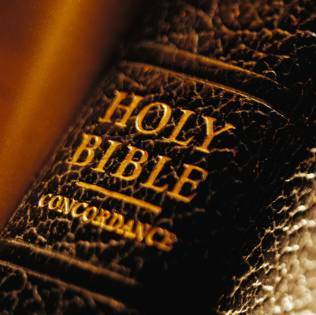 For years, centuries actually, debate has gone on about the reliability of the biblical texts. Questions have been raised about whether the events in the gospels actually happened and how much, if any, of the related events are historically accurate. During that time, one key component of the nay-sayers has been this argument about a lack of what they call “extra-biblical texts.” In other words, their claim is that the Bible amounts to circular reasoning because the scripture refers to scripture and there are too few accounts of Christianity (specifically New Testament) outside of the documents included in the New Testament itself. When I first started looking into these types of things a few years ago, my goal was to prove them wrong by researching and finding historical documents outside the Bible that, at the very least, leant some credibility to the Biblical accounts by recording information that matched up to what we have in the Bible. While I certainly think that this should be considered, and have looked at what historians say about the writings of Josephus and Tacitus and such, I’ve recently come to the conclusion that this is the wrong way of doing the appropriate research. In fact, to completely discount the documents of the New Testament is poor scholarship. And I will detail why in just a moment. First, the thing that got me started on this line of thinking came when I was going through the nativity stories recently in the Gospels of Matthew and Luke. I was looking through those accounts in order to see if there were any details or passages that I had ever either missed entirely or glossed over. When doing so, something in Luke caught my attention. 1Many have undertaken to draw up an account of the things that have been fulfilledF1 among us, 2just as they were handed down to us by those who from the first were eyewitnesses and servants of the word. 3Therefore, since I myself have carefully investigated everything from the beginning, it seemed good also to me to write an orderly account for you, most excellent Theophilus, 4so that you may know the certainty of the things you have been taught. One thing that many historians agree on with respect to the New Testament documents, specifically the gospels, is that there were apparently some primary source documents that may have been used by different authors. It is commonly acknowledged, for example, that Matthew and Luke used the text of Mark for some of the information that they detailed. It also seems that there were other sources that may have been common among one or more of the synoptic gospels (Matthew, Mark & Luke) which has been dubbed ‘Q.’ When Luke starts his writing with “Many have undertaken…” I can’t help but wonder if he is referring to what we know as Q. But, the fact of the matter is, there were other primary source documents which have yet to be discovered. One reason that this is important is to show that the scriptures essentially refer to other “extra biblical texts” as primary source material. We can reasonably conclude that if they are referencing this material, it would be silly of the author to reference it if there were anything he wrote that disagreed with those texts and therefore, from that standpoint, we can offer some credibility to at least Luke’s account. After all, there would have been no way for Luke to know that these other documents would be unavailable for comparison 2,000 years later. Apart from extra biblical texts, however, we should look at the biblical texts as well. First of all, they meet all of the criteria that historians agree are necessary to be considered historical documents. For example, the purpose of the writings, the use of primary source documents, comparison of dependent and independent sources and an evaluation of the work itself. But the biggest reason why I have a problem with excluding biblical texts as being evidential is because of something called “authorial intent.” Basically, my problem with this is the fact that the reason biblical texts are excluded as evidence (to the non-Christian world) are because they are part of the Bible. They don’t consider a very important aspect of this. That is, the documents were not written with the intention of becoming scriptural texts. At least, not by the earthly authors, anyway. It wasn’t until the end of the fourth century that these documents were canonized and considered to be scriptural writings after rigorous research, discussion, debate, etc. When the documents were written, they were not biblical texts! They were not intended by the earthly authors to be biblical texts. For most of them, they were letters to various churches written in order to address specific issues and concerns in those churches. That being the case, the New Testament books should be considered as valid historical documents and even considered as though they are extra biblical texts. These documents are unlike the Pentateuch or the books of prophets and such in the Old Testament in that those Old Testament texts were written for the express purpose of basing one’s faith upon what was written. This was not the case with the New Testament. If it were, then I would agree that extra-biblical texts would be necessary to corroborate what the NT teaches. If they meet the criteria as historical documents (which are actually less stringent than the criteria to be considered part of the canon of scripture) and were not considered to be scriptural writings until a couple centuries later, then they should be treated as historical documents and not as an argument of circular evidence as they are often accused of being. In light of this, another thing to keep in mind for those who accept the historicity and claims of Christianity is the fact that when any New Testament document refers to “scriptures,” it is not referring to any other New Testament passage. At that time, the only “scriptures” were the Jewish scriptures which include the books we Christians have come to know as the Old Testament.